January 20, 2015 – (, Anchorage, AK 99503 , USA) – Sr. Programmer-Analyst – .Net (2183-205) Click here for full details. January 20, 2015 – (, Greenbelt, Maryland 20768 , USA) – Cyber Security Specialist (2182-205) Click here for full details.  January 19, 2015 – () – Recruiter II Click here for full details. January 19, 2015 – () – Virtual Sourcing Specialist – Part Time Click here for full details. January 19, 2015 – () – Virtual Sourcing Specialist Click here for full details. January 19, 2015 – (, Cherry Point, NC 28533, USA) – Seeking IT Specialist Field Service Technicians NC Click here for full details. January 19, 2015 – (, Pearl Harbor , HI 96860, USA) – Seeking IT Specialist Field Service Technicians for HI Click here for full details. January 19, 2015 – ( Los Angeles, Los Angeles, California 90094, USA) – Manager, Travel Center Click here for full details. January 19, 2015 – (, Quantico, Virginia , US) – USMC Ground Combat Acquisition Analyst Click here for full details. January 19, 2015 – (, Reston, Virginia , US) – USMC Acquisition Logistics SME Click here for full details. January 19, 2015 – (, Dayton, Ohio , US) – Senior-Level Logistician Click here for full details. January 19, 2015 – (, Reston, Virginia , US) – Senior-Level Logistician Click here for full details. January 19, 2015 – (, Reston, Virginia , US) – Mid-level Logistician Click here for full details. January 19, 2015 – (, Dayton, Ohio , US) – Mid-level Logistician Click here for full details. January 19, 2015 – (, Dayton, Ohio , US) – Financial Manager Click here for full details. January 19, 2015 – (, Dayton, Ohio , US) – Avionics Engineer Click here for full details. January 19, 2015 – (, Dayton, Ohio , US) – Acquisition Logistician Click here for full details. January 19, 2015 – (, Dayton, Ohio , US) – Acquisition Manager Click here for full details. January 18, 2015 – (, Dayton, Ohio , US) – F-22 Senior Financial Analyst Click here for full details. January 18, 2015 – (, Dayton, Ohio , US) – F-22 Finance EVM Specialist Click here for full details. January 19, 2015 – (, Dayton, Ohio , US) – F-22 Logistics Subject Matter Expert (SME) Click here for full details. January 19, 2015 – (, Dayton, Ohio , US) – F-22 Armament Engineering Subject Matter Expert (SME) Click here for full details. January 18, 2015 – (, Dayton, Ohio , US) – F-22 Senior Test and Evaluation Manager Click here for full details. January 18, 2015 – (, Dayton, Ohio , US) – F-22 Senior Acquisition Manager Click here for full details. January 18, 2015 – (, Dayton, Ohio , US) – F-22 Management Analyst Click here for full details. January 19, 2015 – (, Dayton, Ohio , US) – F-22 Financial Analyst Click here for full details. January 19, 2015 – (, Dayton, Ohio , US) – Administrative Support Click here for full details. January 18, 2015 – (, Dayton, Ohio , US) – Financial Manager (Cost Estimator) – Sr. Click here for full details. January 18, 2015 – (, Dayton, Ohio , US) – Financial Manager (Cost Estimator) – Mid Click here for full details. January 18, 2015 – (, Dayton, Ohio , US) – Financial Manager (Cost Estimator) – Jr. Click here for full details. January 18, 2015 – (, Dayton, Ohio , US) – Acquisition Logistician – Mid Click here for full details. January 18, 2015 – (, Dayton, Ohio , US) – Avionics Integration Engineer – Junior Click here for full details. January 18, 2015 – (, Dayton, Ohio , US) – Acquisition Logistician – Sr. Click here for full details. January 17, 2015 – (, Dayton, Ohio , US) – Avionics Integration Engineer – Sr. Click here for full details. January 17, 2015 – (, Dayton, Ohio , US) – Avionics Integration Engineer – Mid Click here for full details. January 17, 2015 – (, Dayton, Ohio , US) – Acquisition Manager – Mid Click here for full details. January 17, 2015 – (, Dayton, Ohio , US) – Acquisition Manager – Junior Click here for full details. January 17, 2015 – (, Dayton, Ohio , US) – Acquisition Logistician – Jr. Click here for full details. January 17, 2015 – (, Dayton, Ohio , US) – Acquisition Manager – Sr. Click here for full details. January 17, 2015 – (, Washington DC Area, Dist. Columbia , US) – Navy OPNAV Action Officer (Radar Sustainment) Click here for full details. January 17, 2015 – (, Plano, TX , US) – IT Security Network Shift Night Manager Click here for full details. January 17, 2015 – (, Plano, TX , US) – Laptop Desktop Encryption Escalation Engineer Click here for full details. January 17, 2015 – (, Plano, TX , US) – Managed Security Services Americas Security Operations Center Shift Analyst for Shift Team Click here for full details. January 17, 2015 – (, Plano, TX , US) – Security Operation Center Escalation Network Engineer Click here for full details. January 17, 2015 – (, Plano, TX , US) – Identity & Access Management (IAM) Consultant Click here for full details. January 17, 2015 – (, Plano, TX , US) – Security Operation Center Escalation Change Engineer Click here for full details. January 17, 2015 – (, Plano, TX , US) – Americas Managed Security Services (MSS) Operations Leader Click here for full details. January 17, 2015 – (, Offutt AFB, NE , US) – Database Server Developer – (Top Secret Clearance) Click here for full details. January 17, 2015 – (, Offutt AFB, NE , US) – Web Developer – IT Service Management (Top Secret Clearance) Click here for full details. January 17, 2015 – (, Offutt AFB, NE , US) – Data Integration Engineer – IT Service Management (Top Secret Clearance) Click here for full details. January 17, 2015 – (, Offutt AFB, NE , US) – Modeling and Simulation Technician Click here for full details. January 17, 2015 – (, Offutt AFB, NE , US) – Audio Visualization (AV) Technician (Top Secret Clearance) Click here for full details. January 17, 2015 – (Orlando, Orlando, Florida 32821, US) – Regional Sales Manager Click here for full details. January 16, 2015 – (Fort Belvoir, VA, Fort Belvoir, VA 22060, USA) – Product Manager III – Ft. Belvoir, VA (2903) Click here for full details. January 16, 2015 – (The University of Texas at El Paso, El Paso, TX 79968, USA) – Registration Coordinator (Enrollment CSR) – 10068137 Click here for full details. January 16, 2015 – (The University of Texas at El Paso, El Paso, TX 79968, USA) – Financial Aid Advisor (Enrollment CSR) – 10068129 Click here for full details. January 16, 2015 – (The University of Texas at El Paso, El Paso, TX 79968, USA) – Administrative Clerk – 10020081 Click here for full details. January 16, 2015 – (The University of Texas at El Paso, El Paso, TX 79968, USA) – Coordinator I – Laboratory & Research – 10061031 Click here for full details. January 16, 2015 – (, Atlanta, Georgia , ) – BI Engineer Click here for full details. January 16, 2015 – (, Naperville, Illinois 60504, United States) – Biometric Technican (On-Call) Click here for full details. January 16, 2015 – (, Columbus, Ohio 43229, USA) – Vice President Sales Click here for full details. January 16, 2015 – (, Washington D.C., District of Columbia , USA) – Director Government Business Development & Sales Click here for full details. January 16, 2015 – (29 Palms, CA, 29 Palms, CA , USA) – PD28 Exercise Designer/Developer (179-817) Click here for full details. January 16, 2015 – (, Alexandria, VA , US) – JAVA Developer Click here for full details. January 16, 2015 – (, Richmond, VA , US) – Cyber Security Specialist Click here for full details. January 16, 2015 – (, Richmond, VA , US) – Business Analyst (Secret Clearance) Click here for full details. January 16, 2015 – (, Huntsville, AL , US) – Technology Trainer (Public Trust Clearance) Click here for full details. January 16, 2015 – (, Huntsville, AL , US) – Software Engineer – Sharepoint Collaboration Click here for full details. January 16, 2015 – (, Plano, TX , US) – Customer Service Representative Click here for full details. January 16, 2015 – (, Plano, TX , US) – Senior Programmer Click here for full details. January 16, 2015 – (, Plano, TX , US) – Enterprise Service Desk Specialist Click here for full details. January 16, 2015 – (, Plano, TX , US) – Training Specialist Click here for full details. January 16, 2015 – (, Tacoma, Washington 98424, United States) – Plant Manager (Tacoma, WA) 2015-1892 Click here for full details. January 16, 2015 – (, Aurora, Colorado 80011, United States) – Inside Service Coordinator 2015-1891 Click here for full details.